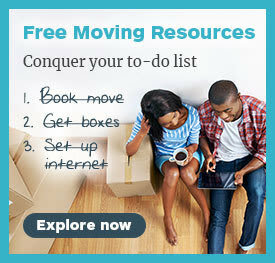 If you’ve looked to hire a moving company, you’ve probably heard about moving insurance. Whether you’re moving down the block or across the country, you want to know that your possessions are not only being taken care of but that you also have a backup plan in case of damage or loss. To help you separate the noise from the important facts you need to know about moving insurance, we’ve put together an easy-to-use guide. First, what exactly is moving insurance? Before getting into the details, it’s important to note that moving insurance isn’t actually insurance. Instead, moving companies offer what is called valuation. Valuation functions like insurance: the moving company ensures compensation for your belongings in case of damage or loss. However, moving companies aren’t certified to sell insurance and aren’t governed by federal regulations that apply to other types of insurance. Ultimately, for all intents of purposes, and for your peace of mind, valuation functions the same way as insurance. All moving companies must offer two specific kinds of valuation to movers when moving across state lines. Most reputable moving companies will offer these coverage options for local and intrastate moves, too. Released value protection is the most basic coverage option that moving companies offer. Though moving companies won’t charge you for released value protection, the consumer still has to ask for, and contractually agree, to the coverage. Released value protection comes at no extra cost to you, but provides only minimal coverage. The moving company typically assumes liability at only 60 cents per pound per article. This means that if your 50-pound flat screen TV gets damaged or lost during your move, the mover would only have to pay out $30 in compensation—even if it’s an expensive TV worth thousands of dollars. When covered by released valuation protection, lost and damaged items won’t be replaced or repaired when you file a claim. Instead, you’ll be compensated 60 cents per pound per item. Period. Your other option for protecting your belongings is full value protection. This coverage is far more comprehensive than released value, but you must pay a premium upfront. In addition, many full value protection policies have deductibles. With some limitations, selecting full value protections means your moving company is liable for the full replacement value of the goods they are transporting. You, as the consumer, will declare what you think your goods are worth, per pound, and then pay a premium for that amount of coverage. Most moving companies have their own full value protection policy, and most will have some sort of minimum value you have to claim on your goods. In addition, some states have regulations that state what the minimum level of coverage is, typically anywhere between $4 or $6 per pound on your household items. This means if you are moving 10,000 pounds and you declare the minimum value on your goods is $6 per pound, your household goods will be valued in total at $60,000. This is the maximum amount you’ll receive if everything in the shipment is lost or damaged. 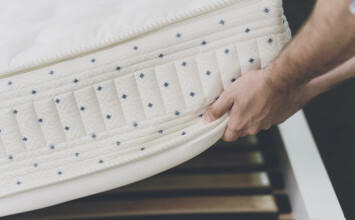 For example, if your 200-pound sofa is damaged beyond repair during a move, the claims department of the moving company will replace it with the same (or similar) couch or payout according to the current market value of the item. In many cases, though, you will have to pay a deductible of $250-$1,000 before the moving company satisfies your claim. In contrast, there are no deductibles under released value protection, and after making a claim, you would simply receive compensation for 60 cents per pound of the item damaged. 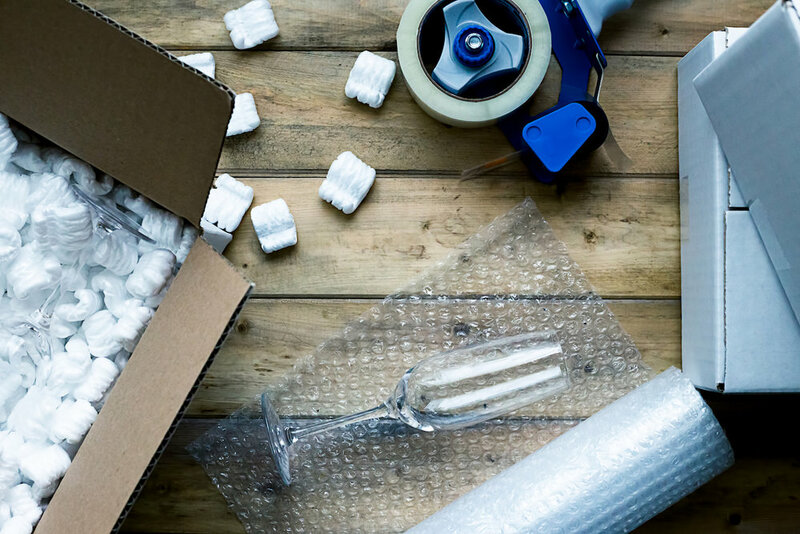 Under full value protection, moving companies have the right to limit their liability for high-value items. These items are referred to as items of extraordinary value. Typically, a high-value item is anything that is worth $100+ per pound, like antiques or $1,500 shoes. Before the move happens, you should make sure you’re on the same page with your moving company in regards to whether these items are covered. Most moving companies will offer the opportunity to purchase additional coverage for these high-value items. The more items of extraordinary value you own, the more your premium or deductible will be. If moving insurance (AKA valuation) isn’t really insurance, you may be wondering if you should seek out additional insurance to protect your belongings during a move. Though it’s a good question, it all depends on how much your belonging are worth. In addition, it’s very important that you don’t assume that your homeowners or renters insurance covers your belongings during a move, because it very well might not. If you are breaking your homeowners or renters insurance policy, it definitely won’t cover the move to a new home. However, if you’re making a local move and maintaining the policy you had at your previous home, then the policy may cover your belongings while they’re in transit. We repeat though, you need to check because this isn’t always the case. There are also often caveats in homeowners and renters insurance policies. For example, your belongings may only be covered while they are actually in transit. This means that if something was broken while being moved off the van and into your new home, it wouldn’t be covered by the insurance policy. At the end of the day, always double check with your insurance provider to find out exactly what’s covered. You wouldn’t want to realize too late that your insurance policy doesn’t cover some of your most prized possessions! What should I expect to pay for valuation coverage? 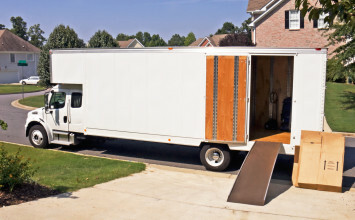 As you calculate your moving expenses, make sure you aren’t paying for more coverage than you need or want. For example, if your homeowners or renters insurance policy will cover your move, you won’t need to pay for additional full value protection. If your homeowners or renters insurance will not cover your move, then you’ll have to decide whether you want to go with released value protection or full value protection. What you choose will vary depending on your personal circumstances and the value of your belongings. Just make sure you are confident in whichever coverage you choose. If you decide to go for additional coverage, via full value coverage, be aware that the price will vary depending on the moving company you choose. Typically, the premium on full value protection is a percentage of the total value of your shipment. For example, if your shipment is worth $60,000, your premium might be 1% of this amount or $600. 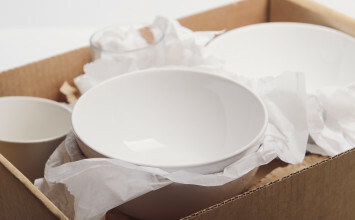 After the premium, depending on the moving company, you may also have to pay a deductible when you file a claim. Just make sure you’re completely clear on the costs that come with purchasing any form of coverage. How do I choose which kind of valuation is right for me? So now that you know your options, how do you make a decision? Create a comprehensive list of everything you own (and consider videoing it with your smartphone), from shoes to bookshelves to pots and pans. Make sure to include important details like existing damage. Though it might be a pain, taking inventory of your belongings before you move can save you a lot of stress and money down the road. As you list everything you own, ask yourself some important questions. What’s the relative market value of your living room chairs, dining set, and shoe collection? Do you have a lot of rare art or antiques, or is your couch the same beer-stained one you had in college? Determine the dollar amount of what your belongings are worth and then estimate the weight of your household goods by finding a weight calculator online like this one. Now, consider released value protection versus full value protection. Which one makes more sense? Say you estimate your household goods to weigh a total of 10,000 pounds. If you choose released valuation coverage, your moving company would take on $6,000 of liability (60 cents times 10,000 pounds). Ultimately, if your belongings in total are worth $6,000 or less, it financially makes the most sense for you to stick with the released valuation protection. Now say you valued your household goods at something like $80,000, and $6,000 worth of coverage wouldn’t even help you replace your antique desk. In that case, you may want to purchase full value protection. Even if you pay a $500 premium and have a $1,000 deductible, the cost will be worth it when you have a $1,500 TV on the line. Just make sure you are aware of any extra costs associated with getting coverage for items worth more than $100 per pound (items of extraordinary value). There are also other variables to consider when deciding what kind of coverage you need, such as how far you are moving and whether you are transporting high-value items like designer shoes yourself. At the end of the day, how you choose to protect your belongings is up to you. Here are a few important things to remember as you go through the process. Moving insurance is not actually insurance, but for all intents and purposes, acts in the same way. They call this type of coverage valuation. The type of coverage you choose should be based on how much you value your household goods — do you have tons of expensive furniture or just some leftovers from college you really wouldn’t mind losing? Still have questions about valuation (AKA moving insurance)? Ask away in the comments below!